German Mirror Lubricants & Greases, a leading global manufacturer of premium quality Lubricants & Greases, today announced the national launch of ‘Mirr Oils’ – its innovative range of lubricants catering to needs of automotive, marine and industrial applications. 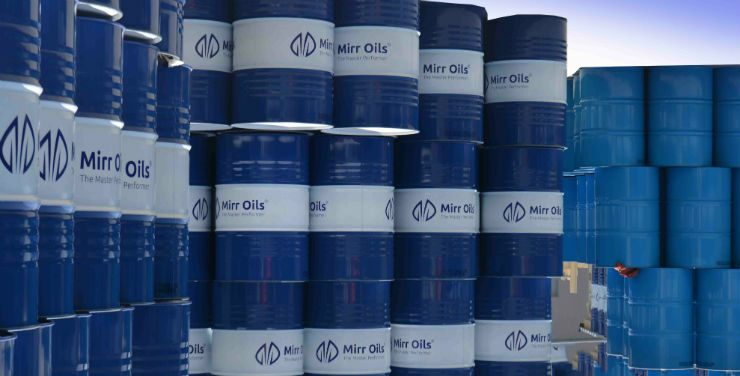 During the initial phase, Mirr Oils will cover west, south and east region which includes eight states such as Maharashtra, Gujarat, Madhya Pradesh, Goa, Karnataka, Kerala, Tamil Nadu, West Bengal and Odisha. In the second phase, the company will cover another eight states by June 2018. The new ranges include ATF & Gear Oils, Specialty Fluids, Passenger Car Motor Oil, Gasoline Engine Oils and Heavy Duty Diesel Engine Oil. All products are made from 100% Virgin Premium Bases Oils & Additives. For 17 years, German Mirror Lubricant & Greases Co, has catered to the engine, gear and transmission lubrication requirements of automotive, industrial, and marine industries. Few of the many parameters that German Mirror Lubricants & Greases consider while developing products include latest technologies, extreme operating conditions, constant emerging environmental regulations, and modern engines.